As financial regulatory reform comes to a vote in the House on Friday, Wall Street firms are growing increasingly nervous that public relations missteps by one of their fellow firms — Goldman Sachs — are going to increase pressure in Congress to crack down even harder on the financial sector as a whole. 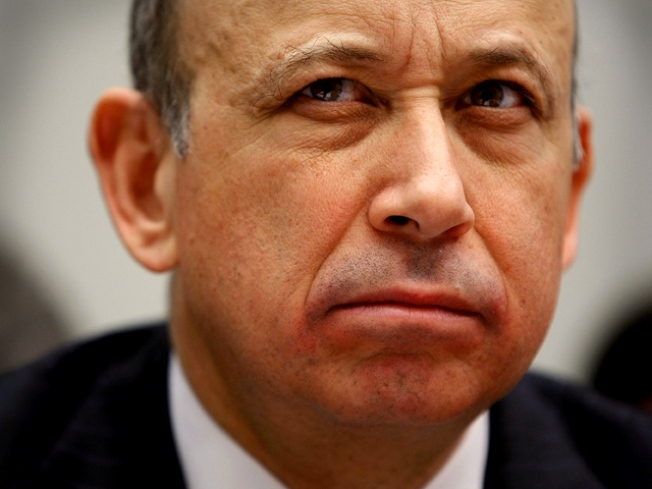 Goldman has become an easy target for public anger, a sort of poster child for Wall Street’s highflying ways, big bonus culture and seemingly unapologetic stance about government bailouts. Goldman executives told Vanity Fair that they could have survived without the government bailout of 2008, prompting hoots of derision inside the Beltway because the money was widely viewed as saving the company from serious trouble. The firm announced potential bonuses for 2009 of more than $700,000 per employee, at a time when politicians are struggling with solving the nation’s 10 percent unemployment rate. And CEO Lloyd Blankfein casually said that the firm is doing “God’s work.” Goldman Sachs declined to comment for this story. In a bid to tamp down some of the controversy over its billions of dollars in bonuses, Goldman on Thursday announced that it was altering its 2009 bonus plan to reward top executives with a special kind of stock instead of cash. Last month, the firm announced a $500 million initiative to help small businesses create jobs. Still, several financial industry lobbyists say they’re worried that public relations stumbles by Goldman will cause collateral damage at other firms as Washington finds ways to channel public anger at the firm into legislative measures that affect the entire industry. Many of Goldman’s rivals fear that populist anger at Goldman will spill over into financial regulatory reform legislation now moving on Capitol Hill and lend momentum to measures the industry sees as punitive. At stake are new rules governing lucrative derivatives trading on Wall Street, as well as a measure that would empower federal regulators to rein in and dismantle financial firms that are judged “too big to fail,” even if they appear healthy. Both could cost Goldman dearly. This person chalks up the anti-Goldman sentiment in Washington to simple jealousy. “There is an incredible amount of schadenfreude out there,” he said. Recent comments by some members of Congress, particularly on the left, show the anger has spread to lawmakers. The Senate is generally seen by the financial industry as a place where it can weaken provisions it doesn’t like, but some liberal Democratic senators say they hope the Senate will take a hard line with Wall Street. What the rest of the industry worries about more is that anti-Goldman fervor in Washington will make it more likely Congress will pass measures that Wall Street hates but that don’t affect Goldman Sachs at all. First among those is the creation of a new consumer financial protection agency, backed by the Obama administration and resisted by the Chamber of Commerce and Wall Street banks. The measure wouldn’t affect Goldman, though, because the former investment bank doesn’t deal with retail-level consumers. Also in the offing: new rules for credit card issuers that could cut into a profitable corner of the banking industry. But again, Goldman, which doesn’t issue credit cards, would be unaffected. Reigning Democrats on Capitol Hill are eager to tee off on the unpopular company. “It’s Christmas, right? Don’t they just remind you of Scrooge?” asked Rep. Luis Gutierrez (D-Ill.), a member of the House Financial Services Committee. “It’s the reason why we need to have this bill,” he said of the pending financial reform legislation. Gutierrez said anti-Goldman furor has helped Democrats push forward on the CFPA and derivatives regulations, as well as an amendment, adopted by the committee, that would change FDIC fee assessments to place a larger burden on big banks. Democratic allies in the labor movement, too, are using Goldman’s unpopularity to generate publicity for their own agenda. On Dec. 7, Andrew Stern, Service Employees International Union president, sent a letter to Blankfein demanding that Goldman take action to help the U.S. economy. The blowback might not stop at the bill in committee, though. In London, government officials announced this week that they will impose a 50 percent tax on 2009 financial industry bonuses worth more than $40,800 — a measure that hits bankers straight in the wallet. Wall Street sources worry that a similar measure could find legs in the United States, fueled by populist anger at Goldman. France is expected to join with Great Britain on Friday and announce a windfall bonus tax of its own. The two nations have said they hope their joint action would push other countries, including the United States, to take anti-bonus steps, as well.